Born and raised in Miami, the 24-year old Kevin Pouya is bringing the raw sounds of the underground to the rap-masses. 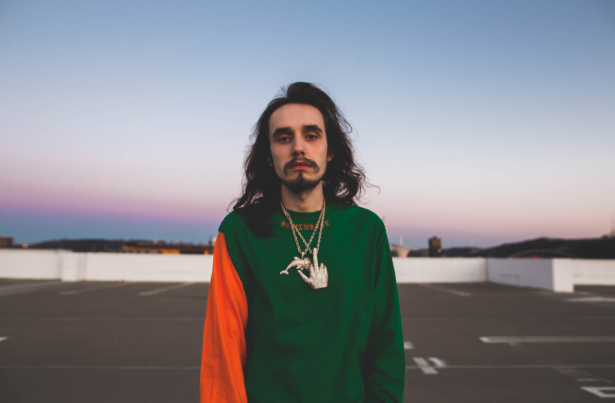 Pouya can be seen as the embodiment of a modern rap star: bred on the streets, bored of the mainstream hiphop and blessed with some outstanding bars and flows. As one of the most buzzing acts in today’s SoundCloud rap movement, he has created an impressive discography of both underground hits and certified chart-toppers. Pouya made his first musical impact with the 2013 single “Get Buck” that soon became a viral hit. With the momentum burning, the track was followed up with mixtapes “Stunna” and ”South Side Slugs”. His self-released debut album ”Underground Underdog” was released in 2016. The album was a success, peaking at number two on iTunes’ hiphop/rap albums chart and reaching the top 10 on iTunes’ overall albums chart. The album features collaborations with rappers such Ying Yang Twins and $uicideBoy$. Pouya then teamed up with his friend Fat Nick for their joint mixtape ”Drop Out of School” released in 2017. The mixtape received lots of support from leading hip-hop outlets XXL, Genius and HotNewHipHop. In 2018 Pouya released his 11-track album ”Five Five” and singles such as ”Stick Out” with fellow rapper Ghostemane. The newest release, a double single ”Superman Is Dead” is form January. Pouya and his record label Buffet Boys are fully independent and fully in control since he’s never released a major record label outside of his own.